At the Boucher Auto Group, we Ride With You Every Mile! Our Certified Pre-Owned (CPO) vehicles come with additional warranty coverage that goes beyond the new vehicle limited warranty – sometimes up to 100,000 miles or even more. Certified Pre-Owned warranty coverage is so extensive it often covers almost everything on your car other than wear items, tires, maintenance, and accident damage. 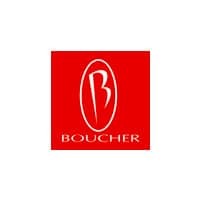 With over 500 CPO vehicles in-stock, Boucher has the largest selection of Factory Pre-Owned Inventory in Wisconsin. See below for brand by brand Certified coverage. *While many Certified Pre-Owned programs are similar, their coverage may vary. Please see your dealership for specific coverage and exclusions. Vehicles must pass rigorous inspections by brand-certified technicians to be considered for Certified Pre-Owned Programs – often over 100 points. Most of our brands have great special financing rates on Certified Pre-Owned vehicles. Some of our brands have low introductory rate financing available as well. For a vehicle to be considered for a Certified Pre-Owned Program, it must pass a vehicle history report checking for accidents, service history, and more. Many Certified Pre-Owned programs feature available or complimentary roadside assistance for jump starts, key lock outs, fuel delivery, and breakdowns. The majority of Certified Pre-Owned Program warranties are transferable to another owner which means increased value should you choose to sell your vehicle down the road.